Girl or boy, health workers in Nigeria are determined to show parents that the polio vaccination is for all children. In a rural village in Nigeria, a group of women knock on the door of new mother Hauwa Abubakar. She emerges from within, exhausted from the routine of feeding, sleeping, and caring for a little one. But she has extra reason than most to be tired. A few months ago, she became mother to triplets, two baby girls and one baby boy. The women visiting her are from her local community, but today they have come in their roles as polio vaccinators. Realizing that they are there with vaccines, Hauwa picks up her young son, and carries him to another room. She closes the door, and returns to her daughters, ready to present them for their polio vaccinations. 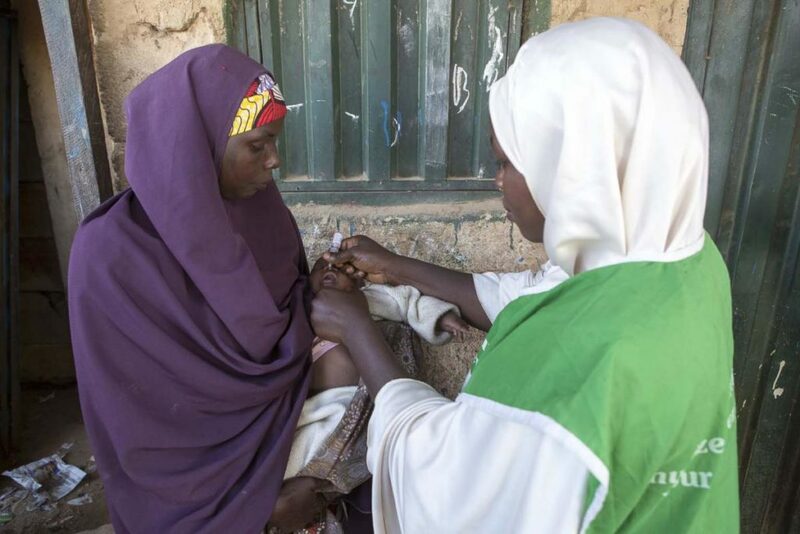 The health workers ask Hauwa why she hid her son – he is just as vulnerable as his sisters, and the vaccine is the only way to keep him safe from polio paralysis. “Boys or girls, your children all need polio immunization. 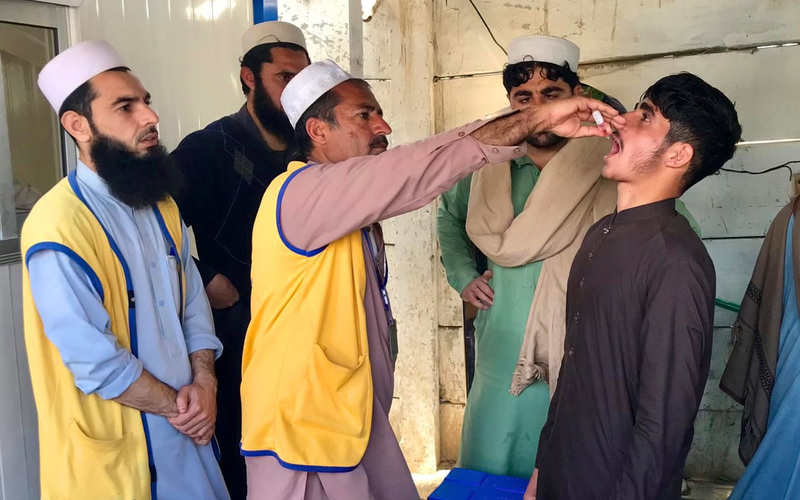 Please don’t discriminate when it comes to matters of health,” says the lead health worker, as she puts two drops of polio vaccine into each of the girls’ mouths. After a little more discussion, Hauwa is reassured. She fetches her son, and soon he too is protected from the virus. Hauwa’s perspective is not unusual in communities where there is hesitation about the need to vaccinate. 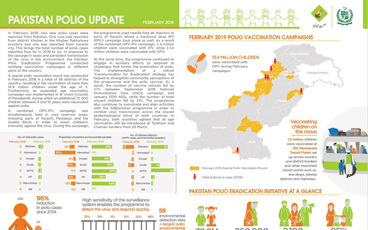 In communities where boys are more valued, and there is uncertainty about the need for vaccination, they may not be given the polio vaccine alongside their sisters. Sadly, this leaves them vulnerable to polio paralysis, whilst girls grow up protected from the virus. 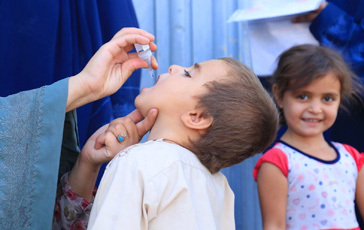 Understanding that the world can only become polio-free if all children are vaccinated, the polio programme is developing a gender strategy which recognizes the way that gender impacts access to immunization, and also considers the valuable role of women health workers. 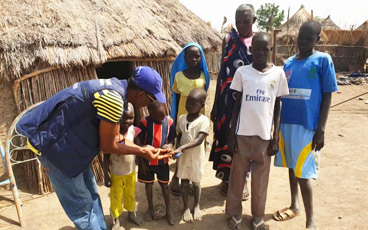 Dr Usman Adamu, the Incident Manager at the Nigerian National Emergency Operations Centre for Polio Eradication, explains how these things are related. Polio workers are locally recruited, and women vaccinators often have a preexisting relationship with the mothers they visit with vaccines. This means that they are uniquely placed to answer questions and reassure them of the safety of the vaccine for boys and girls. With extra training, many women vaccinators also provide mothers with important information about other health interventions, including maternity health. The GPEI gender strategy will help guide endemic countries like Nigeria to respond to gender related barriers to immunization. A first step has been the developing of several gender-sensitive indicators which country programmes use to track gender as a determinant of health. 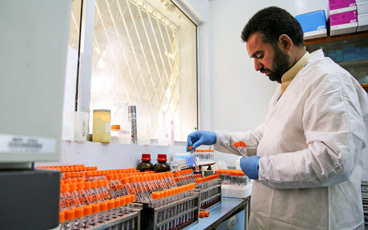 By recognizing the impact of gender on immunization, the polio programme can better deliver a vaccine to every baby. For Hauwa’s triplets, the most important thing is that all three are well on their way to being protected from the virus.